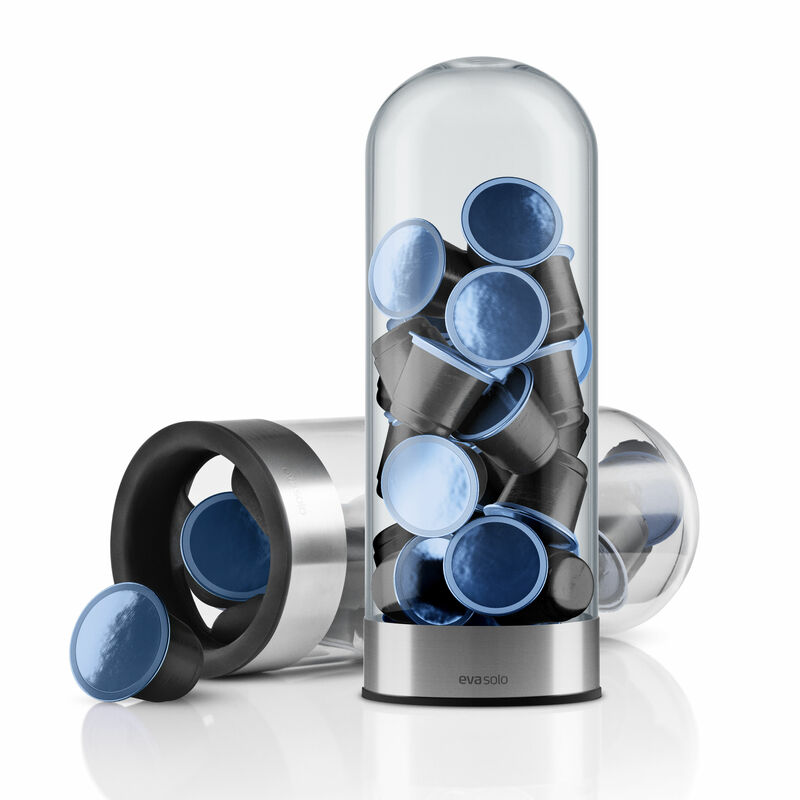 Eva Solo Coffee capsule dispenser is a decorative way of storing your coffee capsules, and the cylinder-shaped glass container allows you to see exactly how many colourful capsules you have left. The base features soft silicone flaps which retain the capsules and also allow you to easily remove one capsule at a time with your fingers. When the dispenser needs refilling, simply remove the base and tip up to 25 capsules into the container. 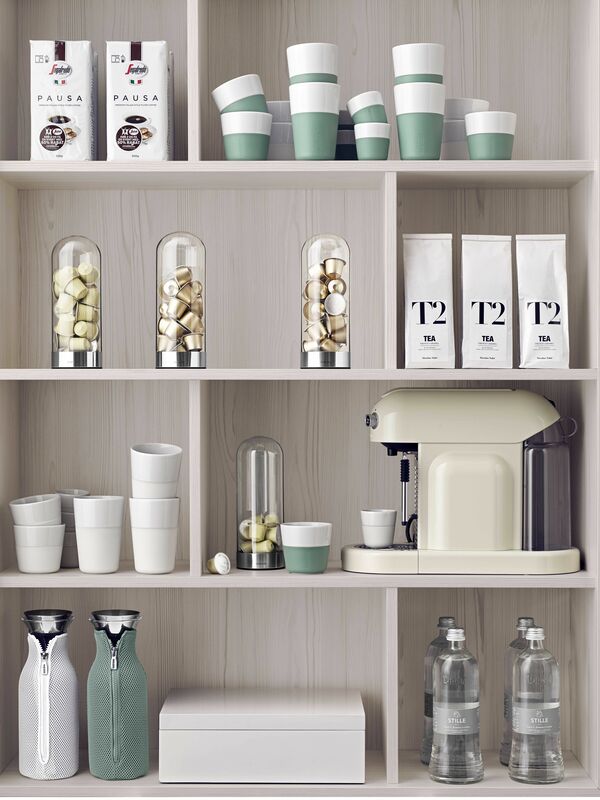 Mix different coloured capsules in a single dispenser, or place several dispensers beside one another, each with their different-coloured coffee capsules.